1. Turn off the radio signal. Often, in certain areas, the smartphone can lose signal. This can happen because the signal transmitter tower is located far away from the traffic of smartphones are or were full. If the signal is lost or weakened, the smartphone system will usually continue to seek the best connection. Search signal continuously can make the battery runs out quickly. Therefore, you should just turn off the radio signal, if the user is absolutely sure will not get signal in some time. Usually, the option to turn off the radio signal is on "Settings" menu. Turn off WiFi and Bluetooth feature when not in use. The devices are also able to make the smartphone battery life. Do not want too much bother to adjust the setting signals? Users can easily switch off all radio signals in the smartphone only with a fashion course, the Airplane Mode. By turning on Airplane Mode, all radio signals, either GSM, WiFi, Bluetooth up, immediately shuts down. Vibration (vibrate) can sometimes be helpful if there was a phone call or message comes in when the user is driving, meetings, or other places that need a cell phone in a state of "silent". However, the actual vibration feature requires more battery power than normal ringtone. Based on these facts, if the user is not need these features, we suggest that the vibration feature in smartphones. Some applications are opened simultaneously is one cause of battery life. Therefore, close the application that is no longer needed. Want to listen to music or watch a video? If yes, you should keep these two types of data on storage media available. Cut down stream if do not want the battery runs out quickly. Watch the video or listen to music via YouTube is fun, but this event will "force" the phone system continues to work and eventually make the battery run out quickly. 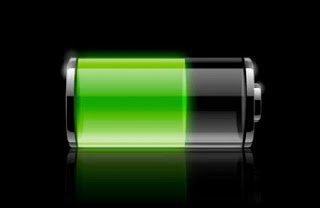 The brighter the screen, the faster the battery runs out. Therefore, Dim or turn off the screen when not in use. You have finished reading Tips to Conserve Smartphone Battery and many articles about Tech Gallery in our blog this, please read it. and url link of this article is https://littlebitjohnny.blogspot.com/2013/02/tips-to-conserve-smartphone-battery.html Hopefully discussion articles on provide more knowledge about the world of new tech gadgets.